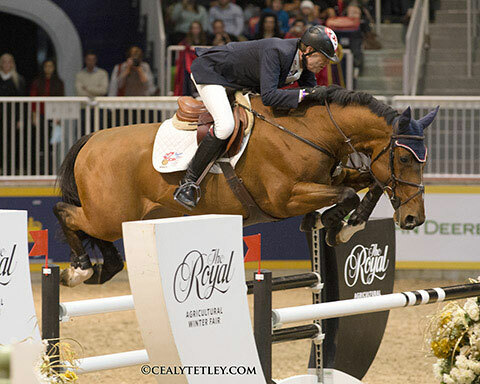 Toronto, Ont., Nov. 9, 2014–Ian Millar of Perth, Ont., won the 2014 Greenhawk Canadian Show Jumping Championship, held on Nov. 8 at The Royal Horse Show in Toronto, Ont. 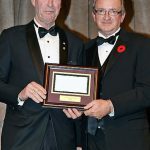 The 2014 Greenhawk Canadian Show Jumping Championship opened the 10-day Royal Horse Show on Friday evening, Nov. 7, with a $25,000 speed phase, and riders carried their scores forward into Saturday’s $75,000 two-round final. After posting the fastest performance on Friday night, Millar and Star Power (Quick Star x Calvados), a 13-year-old Dutch Warmblood gelding owned by Team Works, maintained their lead on Saturday evening, adding only one time fault during their two round performance. Second place went to Jaclyn Duff of Edmonton, Alta., riding her 12-year-old Belgian Warmblood gelding, Pater Noster (Parco x Heartbreaker), who left all the rails up over the three rounds but added some time faults to finish with a score of 3.84 faults. Elissa Reisman of Guelph, Ont., rode Venadium-R (Calvados x Heartbreaker) 12-year-old Dutch Warmblood gelding owned by Taboo International, to third spot with a score of 4.06 faults. 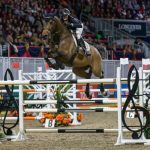 Riding Angelstone Partners’ Appy Cara (Guidam x Casco), a nine-year-old Dutch Warmblood gelding, Erynn Ballard of Tottenham, Ont., was fourth with a total of 9.18 faults. 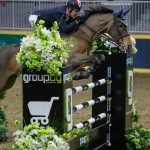 Rounding out the top five was Christian Sorensen of Caledon, Ont., and his 13-year-old Belgian-bred mare, Recadis-B (Karioka del Follee x Landaris), with 9.64 faults. 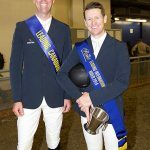 As the top two finishers in the Canadian Championship not already qualified based on their FEI Longines Rankings, Duff and Reisman, have moved forward to the international division of The Royal Horse Show which opens on Tuesday, November 11. 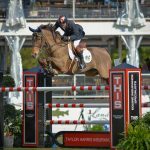 They join fellow Canadians Erynn Ballard, Jill Henselwood, Jordan Macpherson, Ian Millar, Jonathon Millar and Christian Sorensen.